Follow @galsonthegopodcast on Instagram to submit your own questions for next week’s episode, get involved, and more! For business inquiries email brookeanddaniellepodcast@gmail.com with “Gals On the Go Podcast” in the subject! Follow us on Instagram and Twitter to be involved in the next episode’s Q&A: @daniellecarolan @brookemiccio Talk to you guys next Wednesday and for the next episode! Yoga Tips, Our Family Dynamic, & Communication Skills with Momma Carolan! Today's episode began with great intentions... however things get a little random very quickly. This episode covers all things from dating apps to... drainage? Brooke shares a story of the most graphic Snapchat she's ever received and Danielle discussed her experiences on the celebrity dating app Raya. Be sure to join our new email list newsletter coming soon, here! http://eepurl.com/dMRfEs Glossier Boy Brow: https://go.magik.ly/ml/hclc/ Hourglass Ambient Lighting Powder in "Dim Light": http://bit.ly/2PsI8QO You can check out our channels on YouTube: Brooke Miccio Danielle Carolan Follow @galsonthegopodcast on Instagram to submit your own questions for next week’s episode, get involved, and more! Also, join our private Facebook group to be involved with the community & interact with other girl bosses! https://www.facebook.com/groups/1129205203923283/ Sign up for the exclusive Gals on The Go newsletter! http://eepurl.com/dMRfEs For business inquiries email rene@beaufreshmedia.com with “Gals On the Go Podcast” in the subject! Follow us on Instagram and Twitter to be involved in the next episode’s Q&A: @daniellecarolan @brookemiccio Talk to you guys next Wednesday and for the next episode! In today's episode we are bringing it back to what we know best... school! The end of the semester is extremely difficult to push through with lack of motivation, however it is typically the most critical time in terms of final exams and securing those grades you want to get! What are your top tips? Share with us on our instagram or in our NEW private Facebook group. Join the Gals on The Go Facebook Group Here: https://www.facebook.com/groups/1129205203923283/ California Fires, How to Help: https://www.nytimes.com/2018/11/11/us/california-fires-how-to-help.html Foreo LUNA Mini 2 http://bit.ly/2QCxMKM SPANX Leggings https://go.magik.ly/ml/hc0v/ You can check out our channels on YouTube: Brooke Miccio Danielle Carolan Follow @galsonthegopodcast on Instagram to submit your own questions for next week’s episode, get involved, and more! Also, join our private Facebook group to be involved with the community & interact with other girl bosses! https://www.facebook.com/groups/1129205203923283/ For business inquiries email rene@beaufreshmedia.com with “Gals On the Go Podcast” in the subject! Follow us on Instagram and Twitter to be involved in the next episode’s Q&A: @daniellecarolan @brookemiccio Talk to you guys next Wednesday and for the next episode! Q+A: Life Catch Up, Favorites, Some Laughs, & More! What a fun episode this was! It is a special Q+A episode. We had you guys submit questions about our life, school, self care, music, favorite fast food (lol), and more! Brooke cracked some funny jokes in this episode get ready! For 20% off your first order of $100 or more, visit OutdoorVoices.com/galsonthego and enter galsonthego You can check out our channels on YouTube: Brooke Miccio Danielle Carolan Follow @galsonthegopodcast on Instagram to submit your own questions for next week’s episode, get involved, and more! For business inquiries email rene@beaufreshmedia.com with “Gals On the Go Podcast” in the subject! Follow us on Instagram and Twitter to be involved in the next episode’s Q&A: @daniellecarolan @brookemiccio Talk to you guys next Wednesday and for the next episode! Enjoy this exciting podcast with our second special guest, Kenzie Elizabeth! We talk about how she switched from online school to Zoe Leadership college, how she stays productive, and more! Thank you to HelloFresh for sponsoring this week’s episode - how exciting! For a total of $60 off, that’s $20 off your first 3 HelloFresh boxes, visit https://HelloFresh.com/galsonthego60 and enter galsonthego60. You can check out our channels on YouTube: Brooke Miccio Danielle Carolan Kenzie Elizabeth Also be sure to check out Kenzie’s podcast: “I Love You So Much by Kenzie Elizabeth” Follow @galsonthegopodcast on Instagram to submit your own questions for next week’s episode, get involved, and more! For business inquiries email rene@beaufreshmedia.com with “Gals On the Go Podcast” in the subject! Follow us on Instagram and Twitter to be involved in the next episode’s Q&A: @daniellecarolan @brookemiccio Talk to you guys next Wednesday and for the next episode! Let’s get into a cozy vibe today… this episode is all about FALL! We talk about our favorite fall music, TV, products, things to do, and more! Get in the spooky spirit with us and enjoy! You can check out our channels on YouTube: Brooke Miccio Danielle Carolan Follow @galsonthegopodcast on Instagram to submit your own questions for next week’s episode, get involved, and more! **If you are a graphic designer or could help us with creating a Jingle, submit some of your past work to brookeanddaniellepodcast@gmail.com! Buy Tickets to Meet Danielle at Stay You Orlando with Joey Kidney on Friday, November 2nd from 5-8:30 https://pressplay.ticketleap.com/StayYou-Orlando/ For business inquiries email rene@beaufreshmedia.comwith “Gals On the Go Podcast” in the subject! Follow us on Instagram and Twitter to be involved in the next episode’s Q&A: @daniellecarolan @brookemiccio Talk to you guys next Wednesday and for the next episode! This episode is all about SELF CARE: skin care, wellness, health, fitness, and more! We talk about our favorite self care products, an insight into our self care routines, and more! Seriously a very funny yet productive episode.. enjoy! Just one gal on the go for this week's episode! Spend 45 minutes with Danielle as she talks about body image, how to get out of a funk, college application tips, how she's been feeling, what it's like having an assistant, and more! You can check out our channels on YouTube: Brooke Miccio, Danielle Carolan. Follow @galsonthegopodcast on Instagram to submit your own questions for next week’s episode, get involved, and more! For business inquiries email rene@beaufreshmedia.com with “Gals On the Go Podcast” in the subject! Follow us on Instagram and Twitter to be involved in the next episode’s Q&A: @daniellecarolan @brookemiccio Talk to you guys next Wednesday and for the next episode! In this episode, we talk about how to conquer FOMO (fear of missing out), how to have me time, how to be happy alone, and we answer tons of your questions! You can check out our channels on YouTube: Brooke Miccio, Danielle Carolan. Follow @galsonthegopodcast on Instagram to submit your own questions for next week’s episode, get involved, and more! For business inquiries email rene@beaufreshmedia.com with “Gals On the Go Podcast” in the subject! Follow us on Instagram and Twitter to be involved in the next episode’s Q&A: @daniellecarolan @brookemiccio Talk to you guys next Wednesday and for the next episode! In this episode, we recap our weekend in Atlanta at Music Midtown, a two day music festival, talk about what “blow out styles” we get at the Dry Bar. Highlights and lowlights of this last week. But most importantly… B O Y S! We don’t often talk about dating, but so many of you asked us to do an episode about boys, dating in college, being single, and everything like that. So here we go! We talk about our experience with it all, and answer TONS of your questions. You can check out our channels on YouTube: Brooke Miccio Danielle Carolan Follow @galsonthegopodcast on Instagram to submit your own questions for next week’s episode, get involved, and more! For business inquiries email rene@beaufreshmedia.com with “Gals On the Go Podcast” in the subject! Follow us on Instagram and Twitter to be involved in the next episode’s Q&A: @daniellecarolan @brookemiccio Talk to you guys next Wednesday and for the next episode! In this episode, Brooke discusses all things growing up. Having a plan, keeping it all together, and she also answers several fan questions submitted on Twitter and Instagram! Tune in next week to hear more from Danielle about her recent travels and as always, you can check out our channels on YouTube: Brooke Miccio Danielle Carolan For business inquiries email rene@beaufreshmedia.com with “Gals On the Go Podcast” in the subject! Follow us on Instagram and Twitter to be involved in the next episode’s Q&A: @daniellecarolan @brookemiccio Talk to you guys next Wednesday and for the next episode! In this episode, we talk about Youtube: the Good, the Bad, and the Ugly. Think of this as an insider’s guide to YouTube. We talk about working with brands, how we make money, when we realized YouTube could be a career, address “drama” in the YouTube community, how much we love our YouTube friends, what it’s like going to events and VIP parties, brand trips, and more! You can check out our channels on YouTube: Brooke Miccio Danielle Carolan For business inquiries email rene@beaufreshmedia.com with “Gals On the Go Podcast” in the subject! Follow us on Instagram and Twitter to be involved in the next episode’s Q&A: @daniellecarolan @brookemiccio Talk to you guys next Wednesday and for the next episode! In this episode, we give tons of tips on time management, effective study habits, and how to de-stress when life gets crazy and overwhelming. For business inquiries email rene@beaufreshmedia.com with “Gals On the Go Podcast” in the subject! Follow us on Instagram and Twitter to be involved in the next episode’s Q&A: @daniellecarolan @brookemiccio Talk to you guys next Wednesday and for the next episode! In this episode, we talk about all things productivity. Tips, our productive morning routines, and self care tips! For business inquiries email rene@beaufreshmedia.com with "Gals On The Go Podcast" in the subject! Follow us on Instagram and Twitter to be involved in the next episode's Q&A: @daniellecarolan @brookemiccio Talk to you guys next Wednesday for the next episode! In this episode, we talk about our first week back at the University of Georgia, our favorite classes and least favorite classes so far, a quick Bachelorette recap because we couldn't help ourselves, back to school routines, and easy healthy meal ideas for gals on the go! For business inquiries email rene@beaufreshmedia.com with "Gals On The Go Podcast" in the subject! Follow us on Instagram and Twitter to be involved in the next episode's Q&A: @daniellecarolan @brookemiccio Talk to you guys next Wednesday for the next episode! 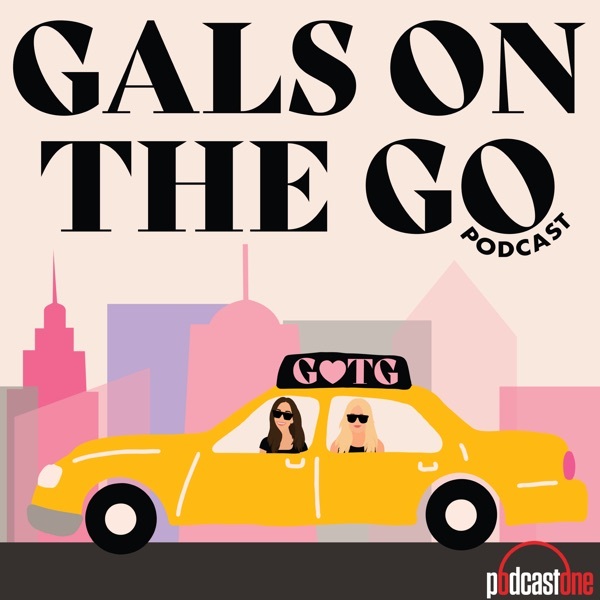 In this episode Brooke Miccio tells you a little bit about herself and introduces the Gals on the Go podcast! In this episode Danielle introduces herself, talks about the upcoming podcasts to come, and talks about her and Brooke's friendship!